Tag Archive | "Libby Metiva"
Over 500 people filled the meeting room and foyer of Solon Township Hall Thursday evening to hear the personal stories of both current and former staff and board members of Cedar Springs Public Schools and how they have been affected by the policies of Superintendent Dr. Laura VanDuyn. Several of the speakers were in tears as they told their stories in public for the first time, despite fears of retaliation. 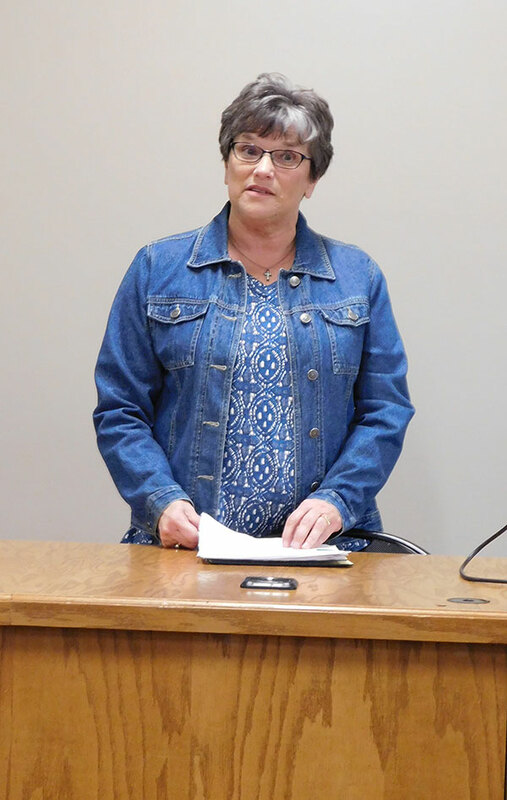 VanDuyn was hired to be Superintendent four years ago, but a movement within the community to get her to resign or for the board to give her a vote of no confidence has been steadily growing. 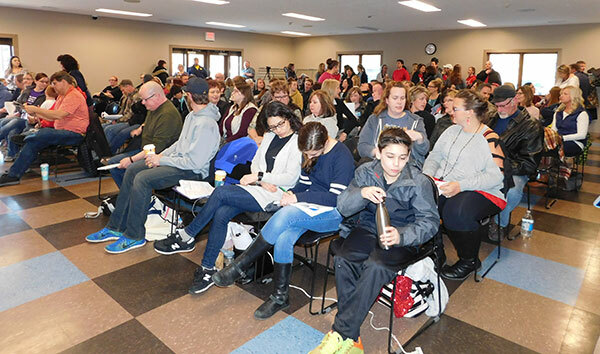 An online petition has garnered just under 1,900 signatures, and paper petitions with signatures will be presented at the next Board of Education meeting on March 26. Mary Graf, an elementary teacher for 41 years, said she has worked for seven superintendents and several principals over the years. She said there would always be change, but also there has always been mutual respect and collaboration with the administration. She remarked that now there is no collaboration, and that teachers now feel repercussions if they don’t completely agree with something or question anything. She said that happened to her last spring during a PLC on reading. There was a lot of tension in the room, and she said she tried to clarify how the teachers were feeling. The next week she received a letter from her administrator saying she had been unprofessional. Graf said her administrator had not even been in the meeting. When she met with him about it, he told her he was forced to write the letter. 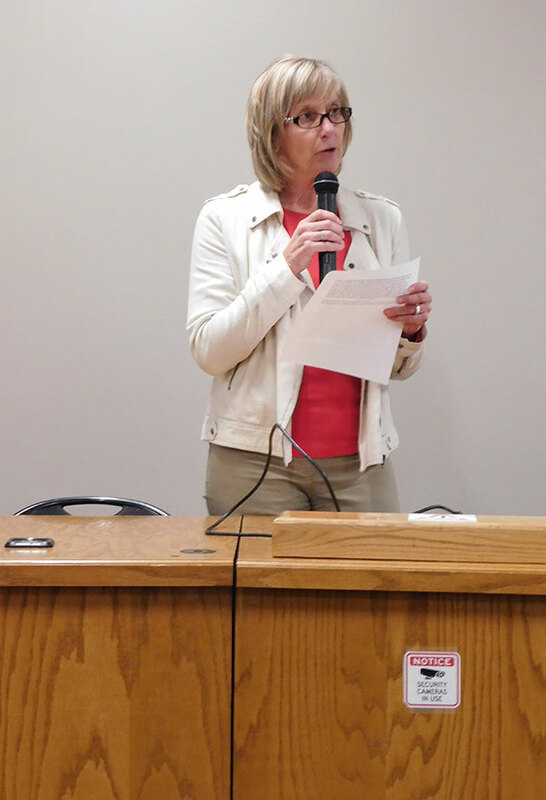 Former board member Jan Wallace spoke about consultants, noting that the district had spent $300,000 over 15 months. “Do you wonder why our district has to consult outside experts so often?” she asked. Wallace added that $115,000 of that was spent on the Orange Frog program, “which teaches the staff to learn to be happier.” She felt they could have used that money on the deteriorating roads on campus. Wallace explained that when she was on the board, they looked at privatizing busing, and met with the staff to talk about it. “This board didn’t do that. They had a consultant come in to help,” she said. Former board member Ted Sabinas talked about being locked out of the meeting on privatization of transportation; the fact that once he was on the board, staff and administrators told him they were not allowed to talk to him; and that all three elementary principals, two assistant principals, and the athletic director had all left in the last three years. He also noted that the Superintendent received a 3 percent raise while the staff did not receive a raise. 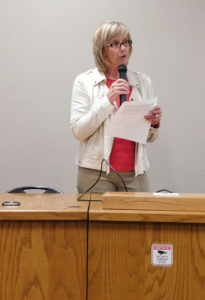 Long time teacher Joan Boverhof spoke about the relationship between the teachers and administration eroding. She said that the board, administration and teachers union used to work together as a team but that was not happening now. Secretary Mary Gardner was in tears as she shared an ordeal she faced about being forced to administer shots. She steadfastly refused, as she has a fear of needles. It was something nurses used to do. She finally got a lawyer involved. Teacher Erin Cairy spoke about taking leave just before school started. She said the administration never reached out to her. Although she emailed a letter to be sent to the students who were supposed to be in her class and their parents, it was never sent. She also emailed asking how she could help the new teacher, but that went unanswered. She said she returned this year, and many questions she’s asked about programs, such as iready, have been taken as being negative. At one point during the meeting, moderator Todd Norman asked the group how many were hearing these stories for the first time. Almost half the room raised their hand. Superintendent VanDuyn gave the Post a statement about the petition.